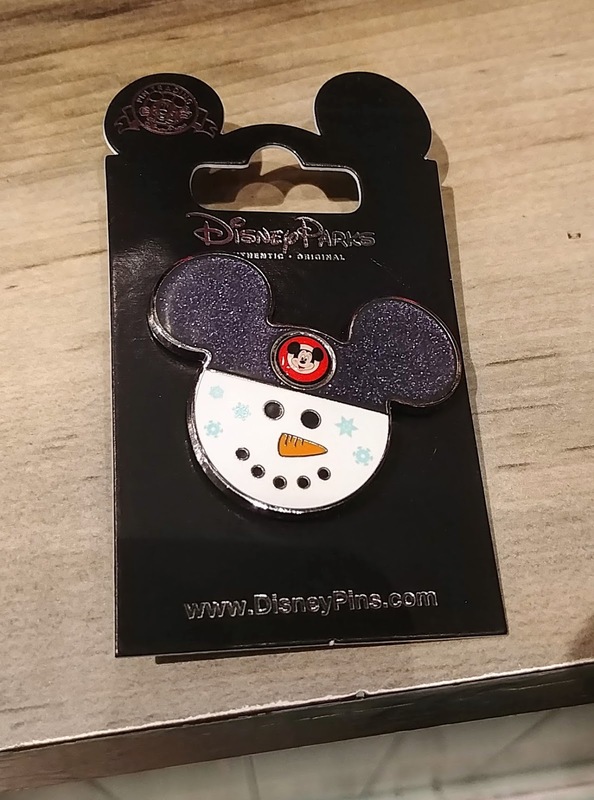 3Po likes to collect Mickey head pins, so this Mickey snowman pin is right up his alley. How cute is Dumbo as a Christmas elf? Vintage Mickey and Minnie are always favorites in our household, and their plaid outfits on this pin are so bright and festive. It's nice to see that Disney recognizes that Christmas isn't the only winter holiday celebrated in the US. 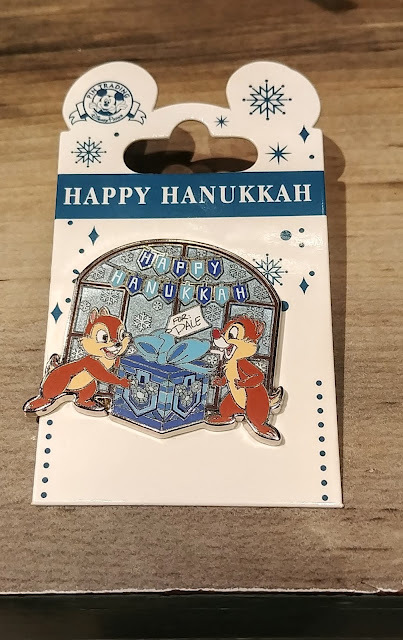 This Chip & Dale Hanukkah pin is so adorable, and I love the starry card backing. 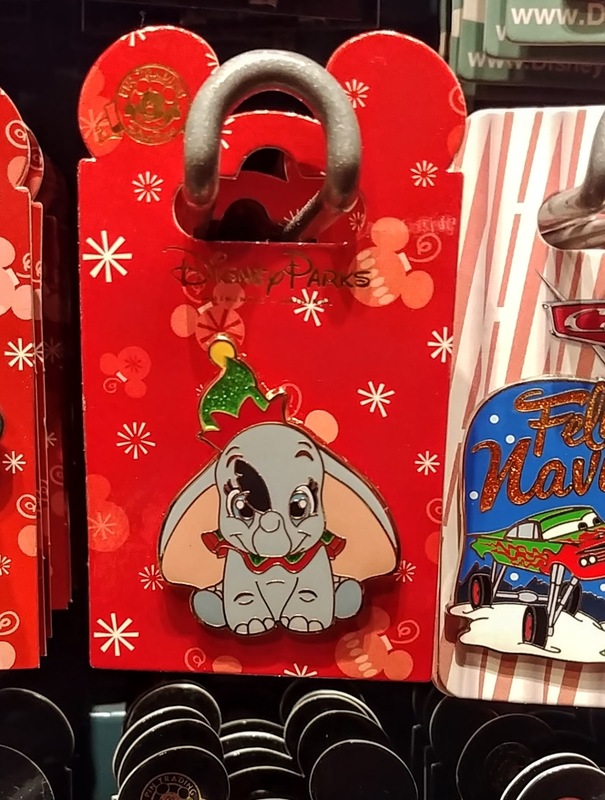 I do wish they had more than 1 or 2 Hanukkah pins, though; the silver and blue is completely dwarfed by the red and green. 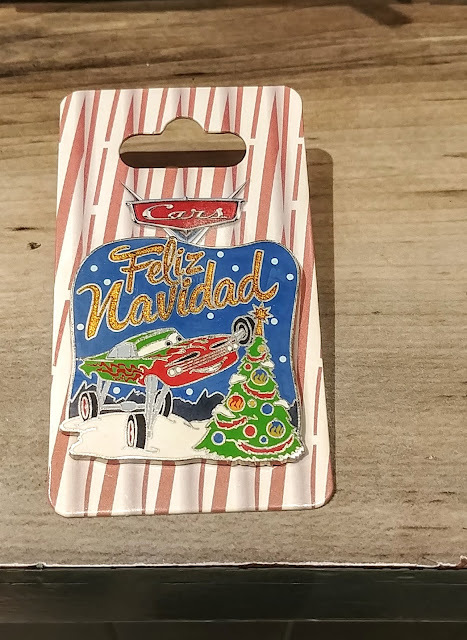 I also found a few pins that say Feliz Navidad. I love how Ramone painted his body in Christmas colors! 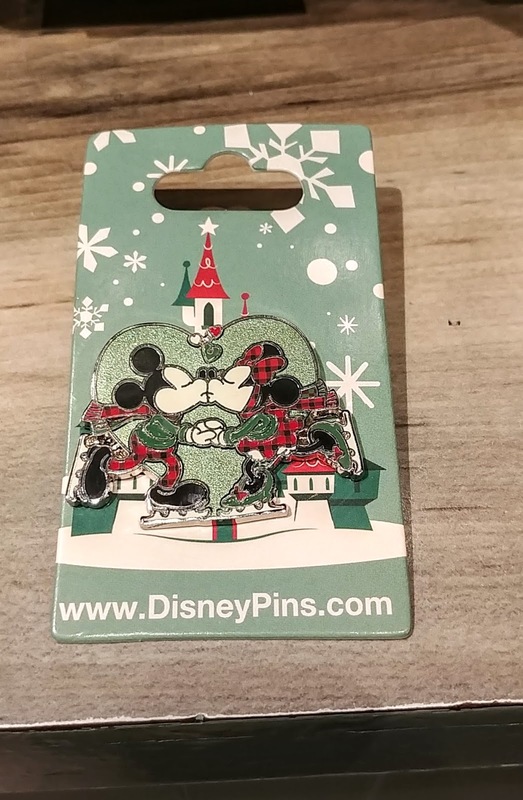 I first learned about the Disney gift card pins three years ago. 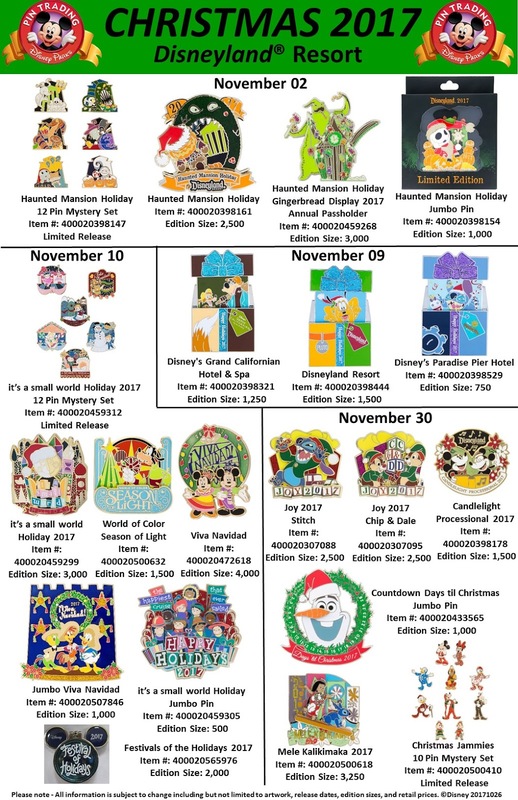 Disney releases them every holiday season and they make great presents for any Disney fan. 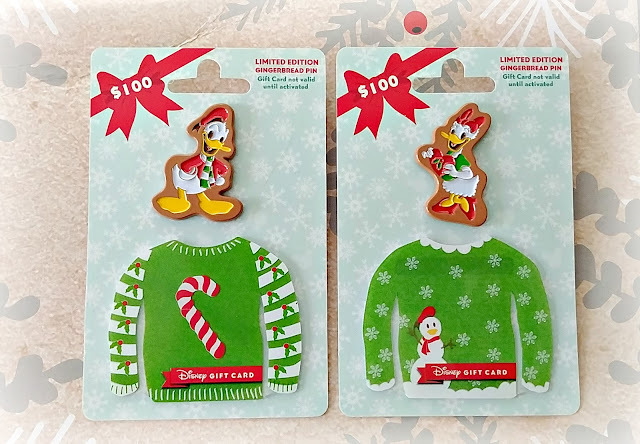 Basically, you buy a Disney gift card and it comes with a free limited edition holiday-themed pin. For the past 2 years, the gift card amount has been $75; this year, they raised it to $100. You can use the gift card at any Disney store or at any restaurant or food cart inside at the Disney parks or hotels. You can even use the gift card to buy park tickets! It's not hard to spend $400 on Disney park tickets, food, and merchandise, so I decided to get all four versions of the gift card. 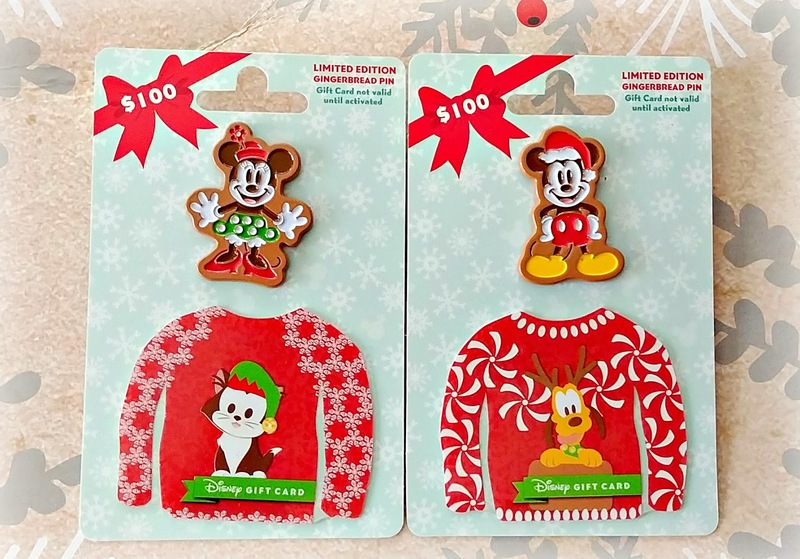 Last year's gift card pins featured mittens, and the year before featured brightly wrapped presents. 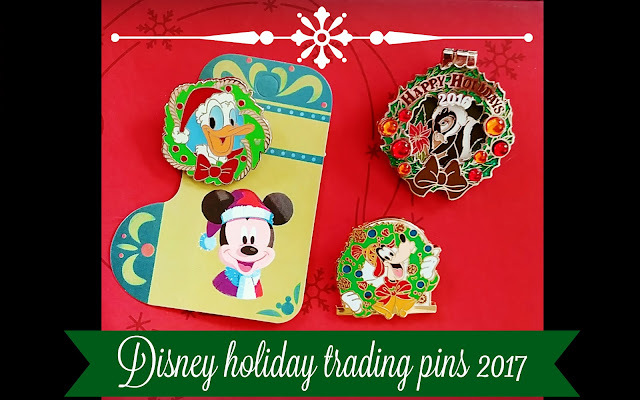 The 2017 pins are gingerbread themed, with Mickey, Minnie, Daisy, and Donald. This year, even the gift cards themselves are holiday themed, shaped and decorated like sweaters. I love all four versions!! 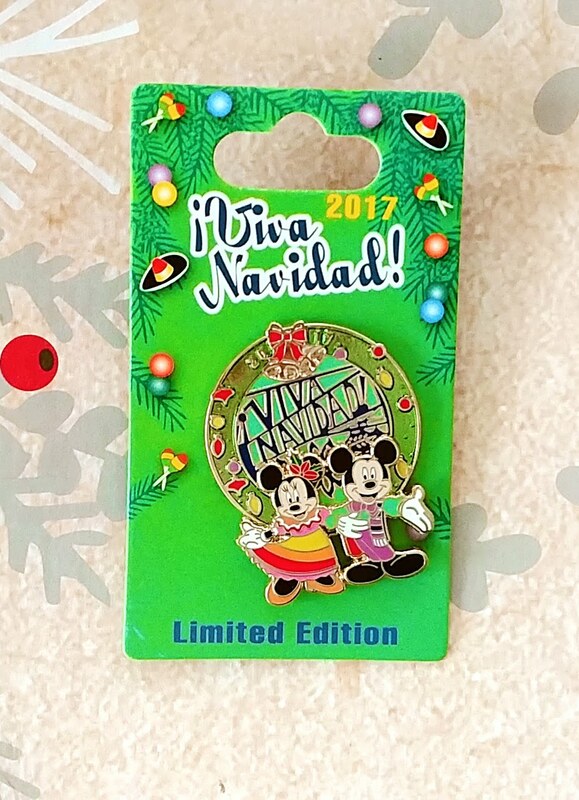 I saved the best for last: this beautiful Limited Edition Viva Navidad pin. I like to buy one pin every time I visit the Disneyland Resort, and this was the pin I chose. The Viva Navidad parade is on my Top Five Must Do things during the holidays at the Disneyland Resort, so I was really delighted with the design. Also, this pin goes perfectly with my 2016 pin which also has a wreath design. Below are more of the Christmas 2017 Disneyland Resort trading pins. Which one is your favorite? Happy pin trading! !